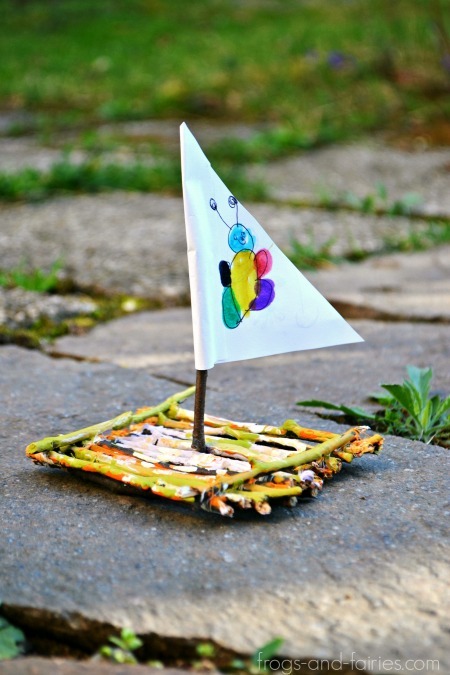 Make an adorable painted twig raft boat this spring or summer! 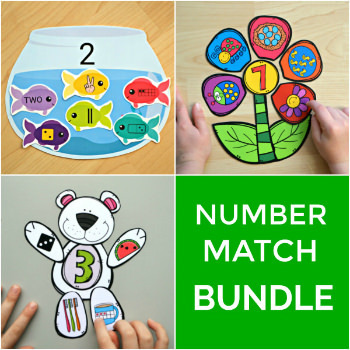 it’s a fun and easy project to do with kids, using mostly natural materials you can find on a walk in the nature, in the garden or at home. Little ones can help you personalize it and really make it their own, while older kids can help with the building process as well! 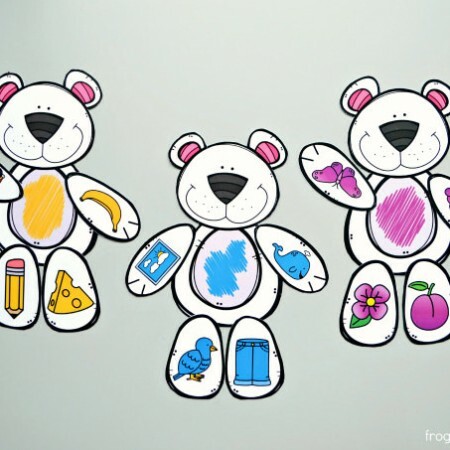 What’s better than a fun and simple family project on a warm and sunny day! 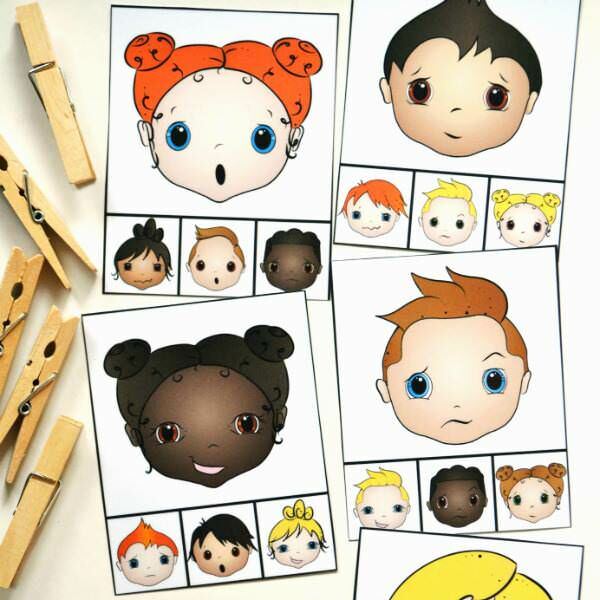 * We tried to make the boat using an elastic band and a simple threat, but for us, it was much easier to firmly combine the twigs using an elastic string. Use whichever you prefer! Go outside and look for fallen twigs under the trees. We found a lot of them in our neighbourhood playground. Twigs you find on the ground should be dry enough, so you’ll be able to easily break them with your hands in the desired length. Aim for a somewhat similar length of all twigs, no need to be too precise though. Cut a long section of an elastic string and tie two twigs together on one side. Repeat on the other end, so you’ll end up with two twigs that are firmly tied together on both sides. 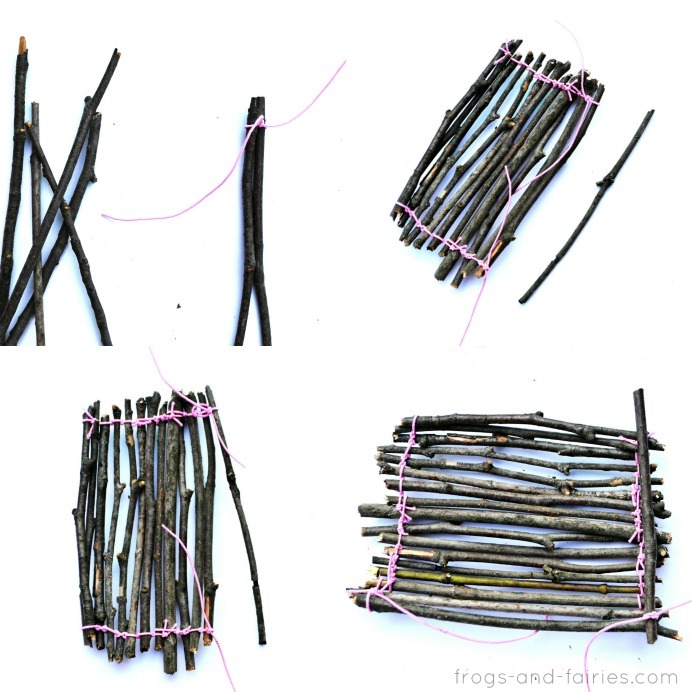 Continue by adding separate twigs an tie each of them together with one neighbouring twig. Soon you’ll have a raft boat made of 15-17 twigs. 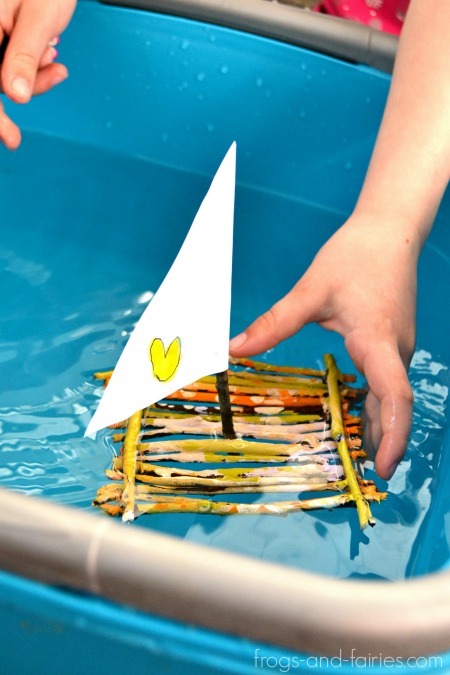 Add another two cross twigs and tie them onto the raft boat to establish a firm structure (see the pictures below). Now all that is missing is a sail! Cut a simple triangle out of paper and wrap it around one twig, that’ll represent a mast. 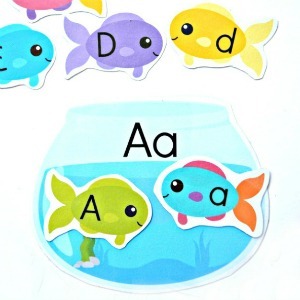 Secure it with liquid glue and cut out the excess paper from the top. 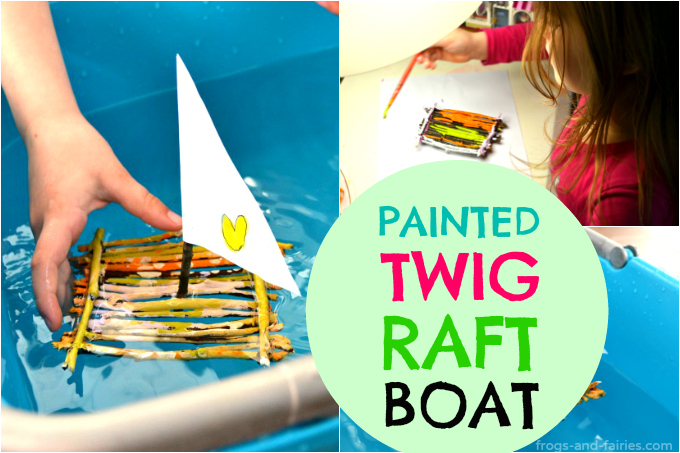 It’s time to decorate the twig raft boat and make it super colorful using acrylic paint. Acrylic paint will be waterproof when dried, so no need to worry. The paint won’t come off in the water. 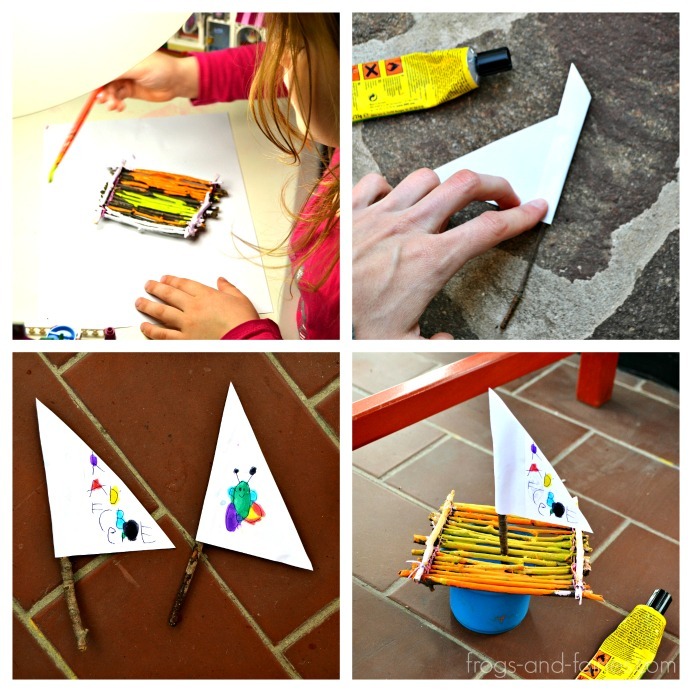 Let you little artist decorate the sail too! 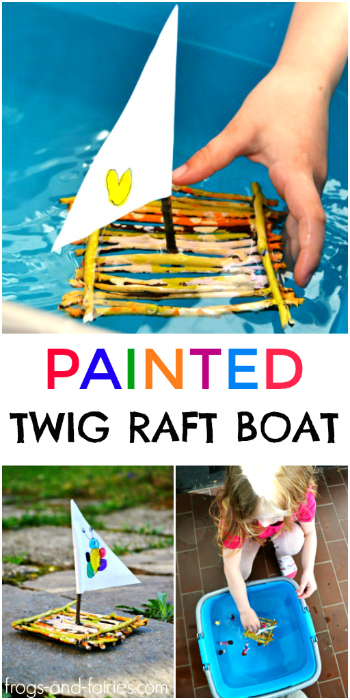 My daughter was very proud that her drawing was a part of the twig raft boat! 😉 We used some liquid glue to fix the mast on the boat and then placed the boat on a small plastic cup. It turned out to be a very useful way to let the glue dry completely while keeping the mast in a vertical direction to dry (especially if your mast stick from the bottom of the boat a little). We tried out the boat in a small plastic container full of water in the balcony. 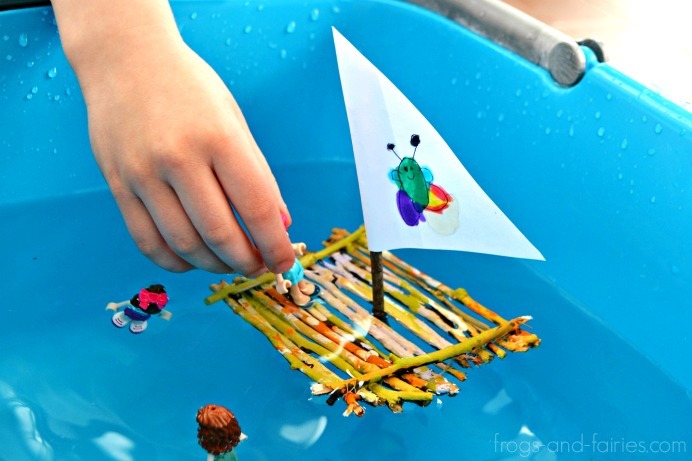 These boats will also fit perfectly into an exciting ocean sensory bin adventure play! 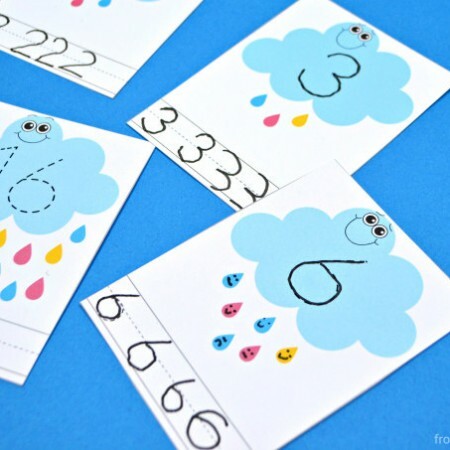 Check out THIS fun idea!